It must have been a worrisome weekend for Bernard Madoff. Madoff, accused of masterminding a $50 billion Ponzi scheme that has affected investors worldwide, found out Friday that a federal judge planned to rule today whether to revoke his bail and jail him in response to prosecutors’ court pleadings. The judge now has ruled — and Madoff will be permitted to stay at home. Prosecutors had not proven Madoff was a security or flight risk, Judge Ronald Ellis said. But Ellis did tighten Madoff’s bail conditions. Prosecutors had feared Madoff could transfer assets to family members, friends and employees, thus denyting victims of a means to recover losses. 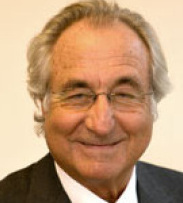 MadoffÂ now been ordered to compile an inventory of possessions and banned from transfering property. Federal prosecutors said last week that agents found $173 million in checks in Madoff’s office. The checks were to have been distributed to a list of people Madoff deemed worthy of receiving bonuses and gifts. All $173 million could have been dissipated had the checks been distributed — and people who deposited or cashed them could have been sued by victims and forced to return the proceeds. Prosecutors also said Madoff sent expensive jewelry and gifts to family and friends. Those gifts must be returned. Madoff is under house arrest in his New York City apartment. Under bail terms, he must wear an electronic monitoring advice. Baltimore officials now say the city’s police and fire pension funds reportedly lost $3.5 million through an indirect tie to Madoff. Fraud experts said the purported scheme was too complicated and went on too long to have been carried out by Mr Madoff alone. Also, add Scotland to the list of countries possibly investigating Bernie. Earlier today, Robert Jaffe, a Madoff associate, failed to show up in Massachusetts to answer questions from the Secretary of State. Jaffe is the son-in-law of Carl Shapiro, who reportedly lost a magnificent sum with Madoff. Jaffe reportedly steered clients to Madoff. Jaffe hasn’t been accused of wrongdoing. Neither has Shapiro. The layers of this are stunning.